Allamah Seyyed Mohammad Hossein Tabataba’i (1903-1981) is one of the most prominent contemporary philosophers in Shia Islam and is famous for Tafsir al-Mizan, the Qur’anic exegesis. Allamah Tabataba’i was born in Tabriz, Iran, and was brought up in a family known for its scientific background, nobility, and honor. After his parents passed away, one of his kinsmen, known as Haj-Mirza Baqer Qazi, adopted the young Allamah Tabataba’i and his brother. Following the conventions of the day, Allamah Tabataba’i first studied some subjects, such as Quran and Saadi Shirazi’s Gulistan, and then went to school. At the beginning, based on his recollection, he did not show much interest in continuing his education; he had difficulty understanding the instructional materials. Four years passed in the same way. However, one day, he was ordained with the divine grace and underwent a sudden transformation; therefore, that day on, he gained an unquenchable desire to learn. This change was so immense that seventeen years after that day, he felt no exhaustion and despondency in thinking, studying, and researching; the world with all its charms and indecencies did not entice him. He shunned the company of illiterate individuals, did not spend much on eating, sleeping and other requirements of life, and thus he saved time to study. In 1925, he left Iran for Najaf, Iraq to continue his studies. In 1935, after ten years of living abroad, he came back to his home country because of financial problems. However, in 1946, he left his birthplace once again and headed to Qom, Iran. There, he established temporary residence and resumed his scientific and research activities. 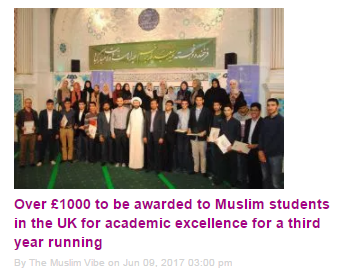 One of his outstanding activities is his success in dissemination of research in Hawza Ilmiyya (known also as Theological College, or Divinity School). He, for the first time, invited and encouraged talented Tolab (students) and lettered figures to contribute to the improvement and increase of knowledge by studying and conducting research. 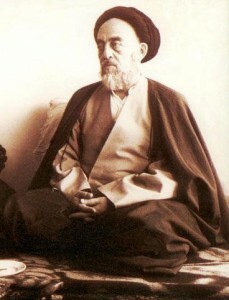 In 1951, when there was no scientific journal and article which met the religious needs of the Iranian people, Allamah Tabataba’i established an association consisting of the contemporary men of letter and encouraged them to conduct research and write papers on different topics in Philosophy and Islam. Among the numerous undertakings of Allamah Tabataba’i during his hectic and blessed life, one can point to some of his most renowned works, such as “Tafsir al-Mizan”, “Shia in Islam”, “Promotion of Writing in Hawza”, “Comprehensible and Practical Interpretation of the Glorious Quran”, “Discussions and Interlocutions with Western Philosophers”, and “Fighting the Philosophy of Materialism”. After a life of about eighty years abound in academic and scientific endeavors, he left the material world for the everlasting one; he passed away in 1981 and filled the heart of the people, scientists, philosophers, and the academic community with sorrow. Allamah Tabataba’i was laid to rest near the tomb of the Infallible Masumeh (PBUH).